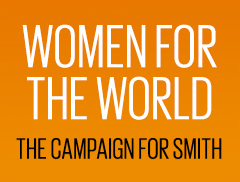 Thank you for your interest in Smith. We're excited to welcome you to campus! The Office of Admission is open Monday through Friday throughout the year and certain Saturdays. Please consult the office calendar for specific information. You must register for interviews in advance. High school students are not eligible to interview until April 1 of their junior year. Preregistration is strongly encouraged for tours and information sessions. While we can generally accommodate walk-in visitors for tours and information sessions, interviews are strictly by appointment. Please select a date on the calendar to the right, and then complete the online registration form. You'll receive a confirmation email once your registration is complete. Questions? Please contact us at admissionreception@smith.edu or 413-585-2500.